An inspector from South Derbyshire District Council was left with no option but to prosecute a restaurant proprietor who ignored advice to control trip hazards in the workplace. During a routine visit an environmental health officer issued an Improvement Notice requiring a restaurateur to remove tripping hazards from a storeroom. The notice was complied with, but the proprietor was further advised to ensure that the premises were kept free from such hazards. 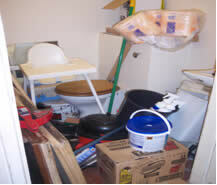 Another visit undertaken 7 months later revealed that the inspectors advice had been ignored, as serious tripping hazards were seen, such as an electrical cable trailing across a step and an untidy storeroom regularly accessed by staff to obtain items such as toilet paper and the highchair provided for customer use. The inspector successfully prosecuted the restaurant for the health and safety offence using the Workplace (Health, Safety and Welfare) Regulations 1992 and for food hygiene offences. The case was heard by a District Judge who stated that the safety of employees is imperative. He said the tripping hazards, particularly the trailing cable, were ‘an accident waiting to happen’. 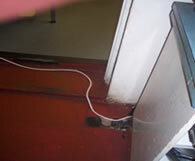 The proprietor was fined £1000 for the health and safety offence, with lesser fines given for the Food hygiene offences. Full costs were also awarded to South Derbyshire District Council.